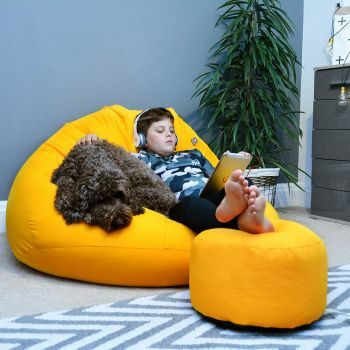 The comfy mansize beanbag chair is a very stylish modern design with strong , durable, quality fabric. 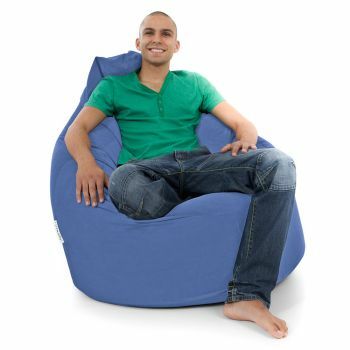 This beanbag chair would be perfect for gamers as it offers endless amount of comfort and support where needed. 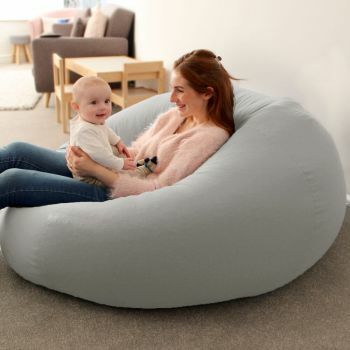 This beanbag is available in a range of colours. The fabric is comfy, strong and colourful and can be machine washed at 30°. You may want to consider taking advantage of the easYfill™ liner deal (discounted when bought with this beanbag), this will enable you to transfer the beans from the beanbag if you wish to machine wash it. Great product, speedy delivery, really comfy. hubby loves this beanbag for gaming! Love my giant bean bag. Havent stopped sitting on it since I got it! Quality product great for the mature person who finds the floor a bit hard and a long way down! The chair was for my Grandaughter.\nI would recommend this to friends.\nThe chair seems to be of good quality.